Target has a sale on toys this week – $10 off of your $50 purchase or $25 off a $100 purchase. This L.O.L Surprise! 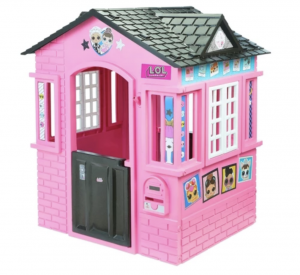 Indoor and Outdoor Cottage Playhouse with Glitter gets down to $75 after the discount and a 5% REDcard extra discount. Free Standard Shipping! The regular price on this is $139.99!